Major G Suite update brings new functionalities including AI-powered features. 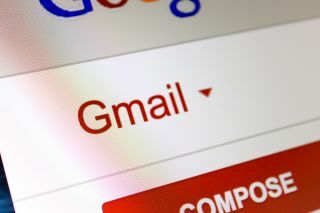 Google has just announced a major Gmail update, bringing new functionality to the beloved service, as well as a few AI-powered features. In a blog post announcing the news, Google product manager for Gmail Matthew Izatt says you can now click on attachments without needing to scroll to the bottom of the email, which can sometimes be a tedious task, especially in long email chains. Emails can now be snoozed, and Gmail now also has a 'nudge' option, which will remind you to follow up, or reply to email messages that have been sitting idly in your inbox for some time. Mobile also has a few nifty new features, like high-priority notifications, or suggestions when to unsubscribe to certain newsletters. There's also the confidentiality mode, which allows you to forbid your emails to be forwarded, copied or printed, which is useful if you're sending sensitive information. You can also set emails to self-destruct, Ethan Hunt style. Google says you can already start using the new Gmail, even though some features won't be available to everyone at start, and will be released at a later date. Those interested in giving it a go should open up their Gmail, press Settings (upper right corner), and choose “Try the new Gmail”. Don’t worry, if you don’t like it – you can revert the changes.